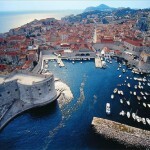 Dubrovnik is a beautiful town located in the southern part of Croatia. 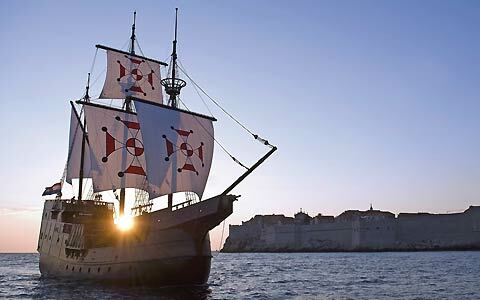 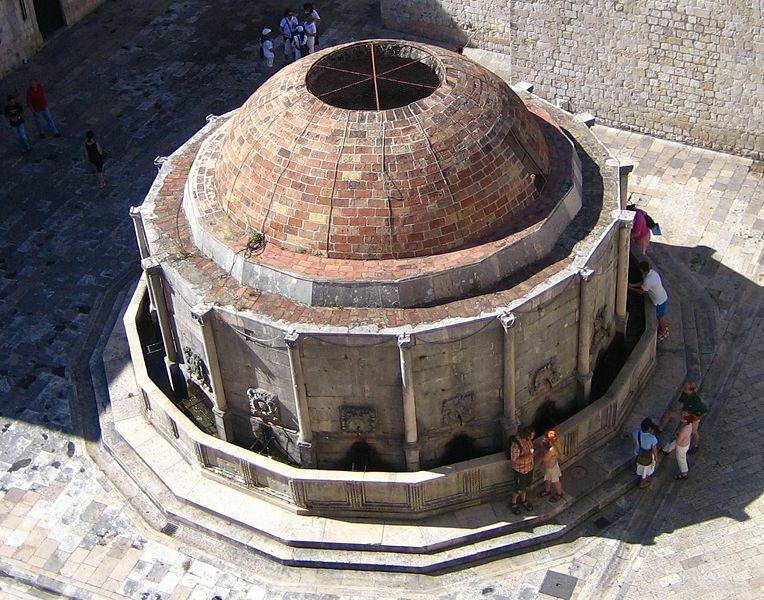 It is renowned for its cultural heritage, for which it was also recognized by and admitted into UNESCO's register of world's cultural heritage.To really experience Dubrovnik and all it offers, it may take more than just a few days. 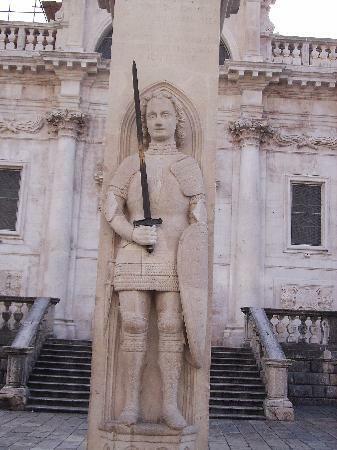 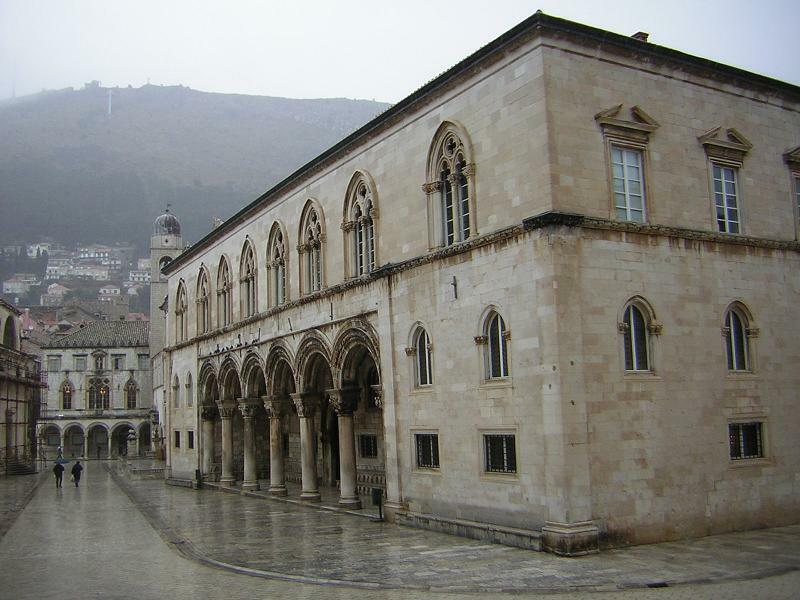 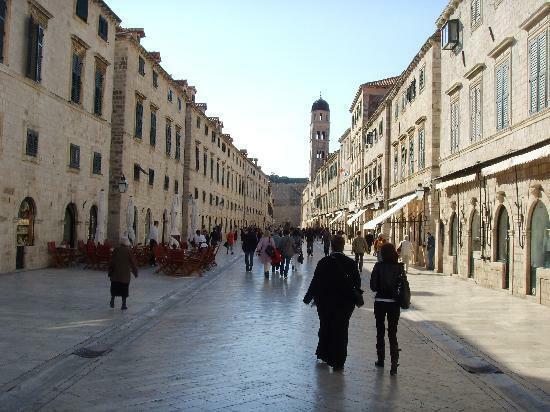 However, just strolling up and down the Plaza/Stradun – the main street of Dubrovnik, or taking a walk around its walls and fortresses that surround the Old City, one gets engulfed with its beauty and amazed by the architecture that "speaks" of Dubrovnik's rich history. 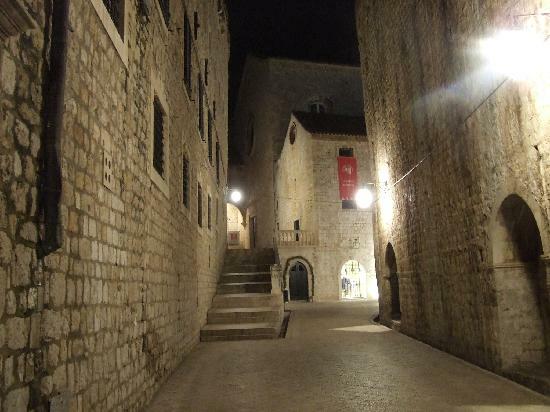 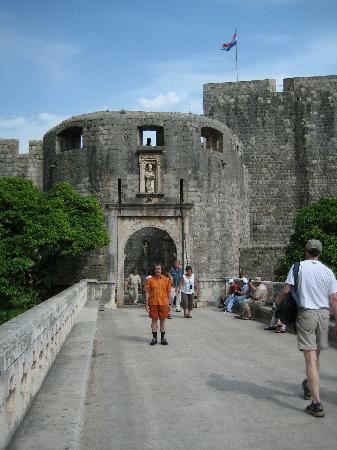 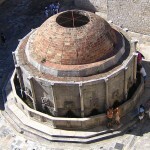 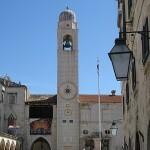 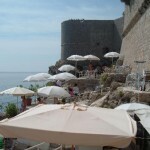 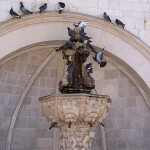 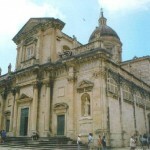 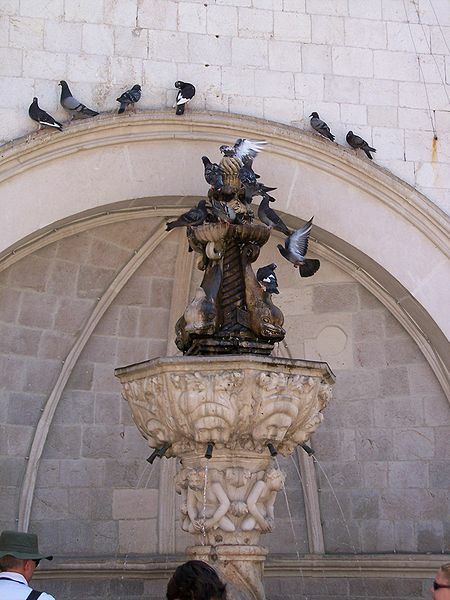 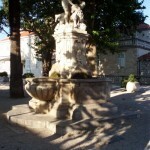 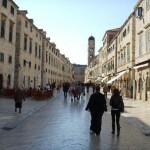 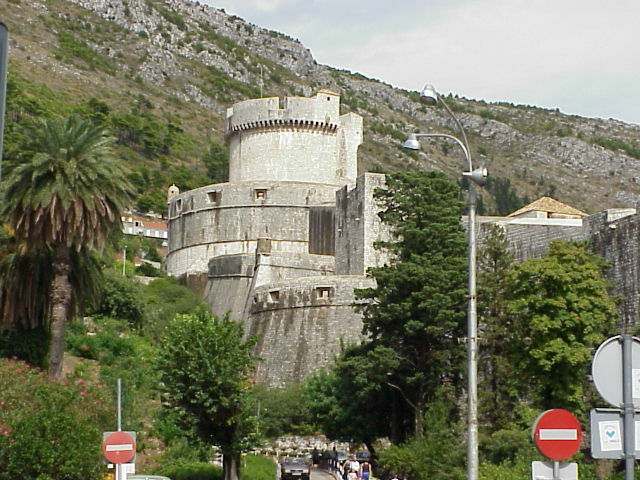 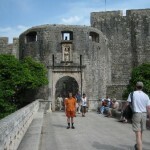 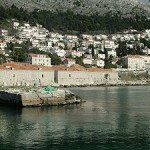 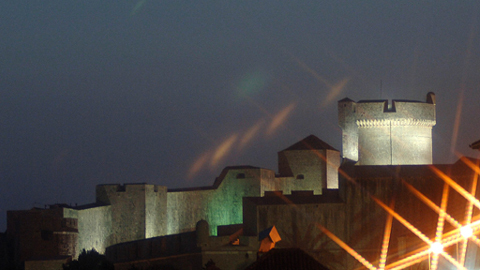 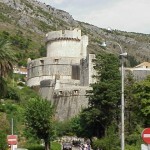 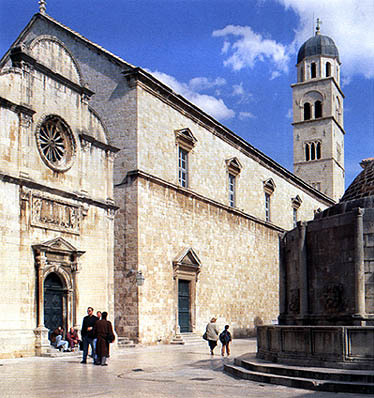 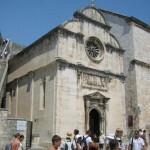 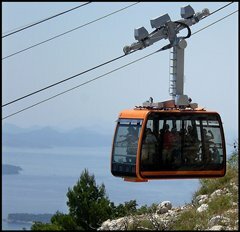 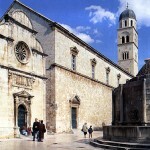 Throughout the year, Dubrovnik is hosts many cultural events. 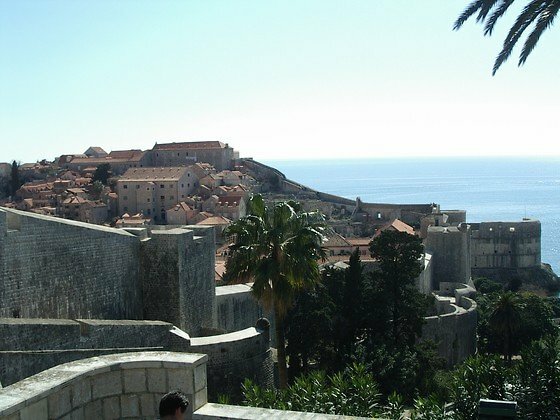 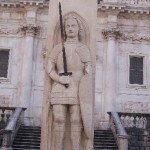 To name a few, there is the Carneval (a tradition since the Middle Ages), Dubrovnik's Summer Festival (theater, open theater,folklor, classical music performances, etc. 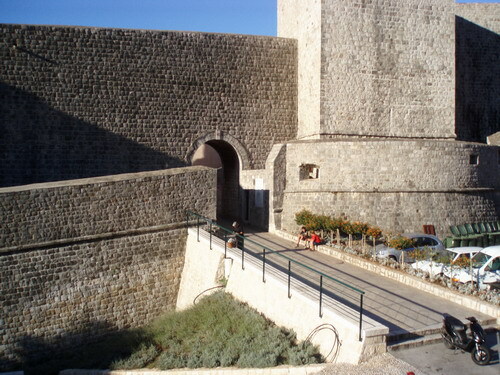 ), art exhibitions (throughout the year), etc. 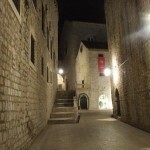 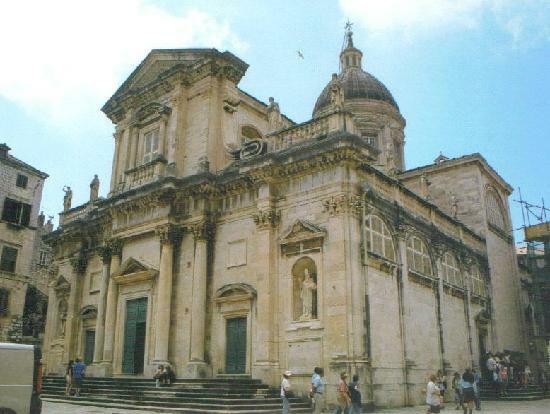 Allow me to give you an idea of what you may see here… Once you find yourself in Dubrovnik, you may want to visit Franciscan monastery and the famous pharmacy which has been in function since 1317; you may also want to take a look at inspirational artwork of Dubrovnik's Art School from the 15th and 16th centuries as well as Tizian's painting in Dominican monastery, or visit the Cathedral and see many reliques dating from the 11th to the 19th century, made of gold and silver by Dubrovnik's artists and goldsmiths. 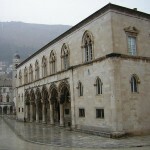 Furthermore, you may want to take a peek at Rector's Palace and experience the historical times' milleu of Dubrovnik's Republic government that glorified freedom, or visit some of the museums such as Rupe, the ethnographical museum where you may learn about the customs and tradition of the Republic, see wells used at the time for grain and wheat storage, and traditional clothing of the time, etc. 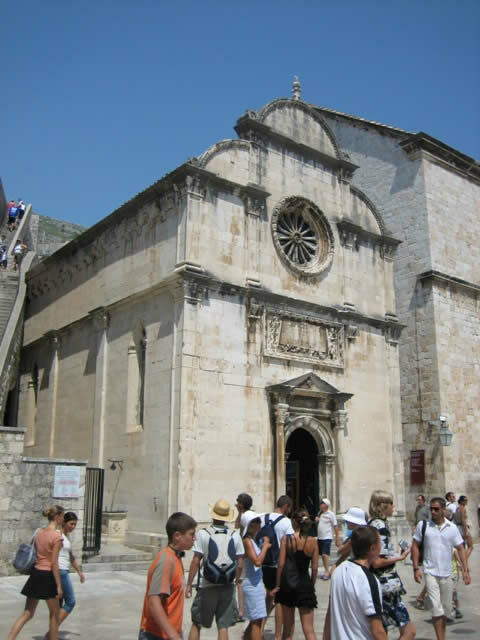 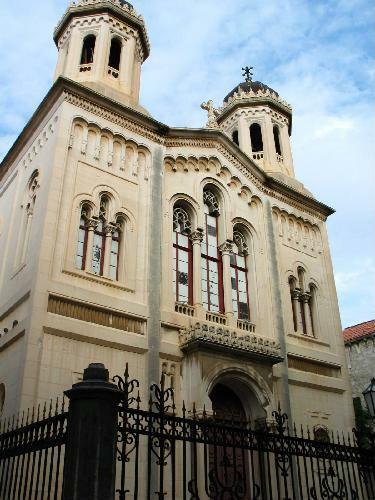 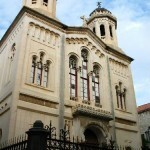 ; or you may want to visit the Synagogue (the 2nd oldest synagogue in Europe) and learn about the life of the Jewish people in Dubrovnik. 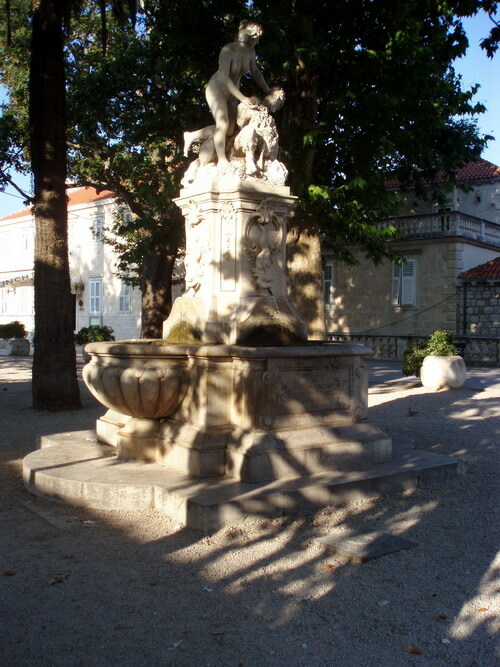 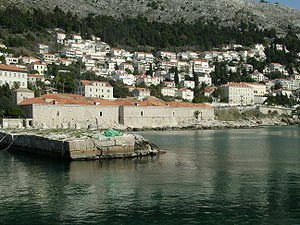 You may also decide to walk around the City Walls and enter the Maritime museum to learn about the maritime history of the Republic, and about some of the famous personalities in history such as the mathematician Getaldic and the physicist Ruder Boscovic, and their calculations that were used in ship-building, more specifically, in building of karaka, galia, and nava – the merchant types of ship. 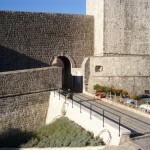 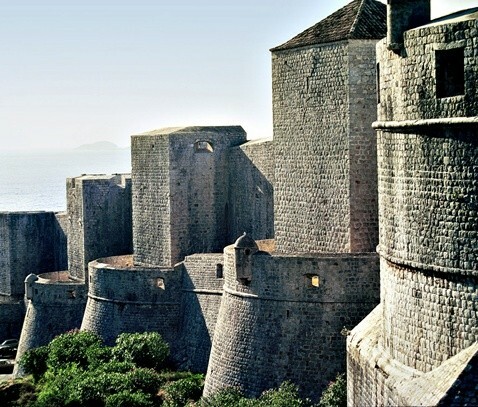 While you are walking around the City Walls, why not also climb the Fort Lovrijenac,also called Dubrovnik's Gilbratar, and imagine the scenes from Hamlet, Macbeth, Julius Cesar, etc.,or if you are here in the summertime, actually see some of the plays performed in the evening hours? 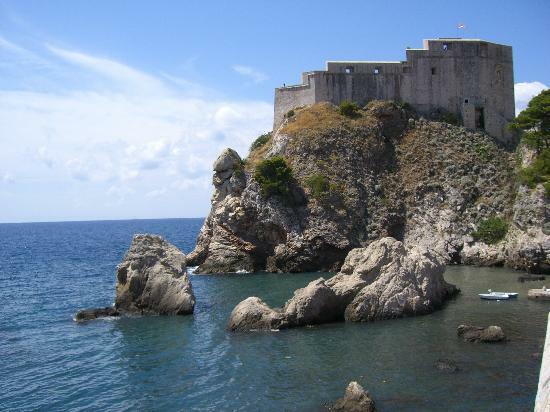 An interesting tour is also climbing Srd and visiting Fort Imperial, and learn in the museum inside of it about the more recent history and the war and suffering from just two decades ago. 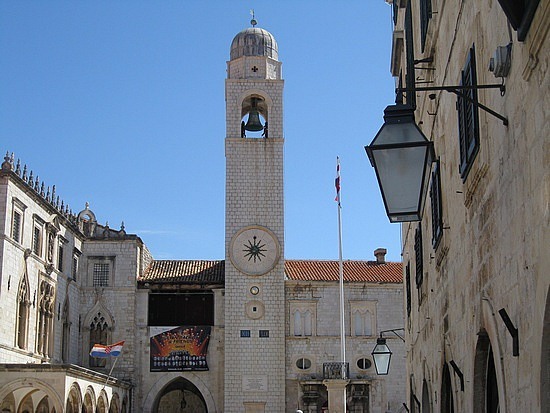 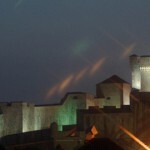 If you are here for a few days, you will find yourself with enough time to enjoy these tours,and also to try some of the local delicaces in some of the many great restaurants and cafes, buy some souvenirs, etc., but also, if you feel like it, you may take a half-day or a day-long excursion to some of the nearby areas of Dubrovnik, such as, for instance, the island of Lokrum, also called the island of those in love, which is only a 10-minute boat ride from the Old City, where centuries old rich history, legends and tales combined with the magic of the sea and nature will renew old loves and bring new ones; or, as another example, the Arboretum in Trsteno – the arcadian place where one of the most beautiful women in Europe during the Renaissance, Dubrovnik's poet Cvijeta Zuzoric created her famous verses and loved, is also enticing for the opportunity for a romantique walk under the ancient trees and one's reflection in the fountain of Neptun and the nymphs. 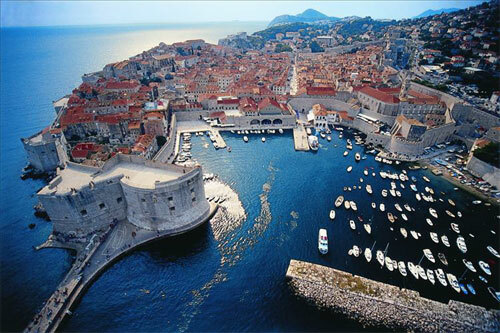 However, if you just feel like relaxing and not visiting any of the nearby areas, Dubrovnik is rich with beaches from which you may want to take a pebble as a reminder of your stay in one of the most beautiful and romantique cities in the world. 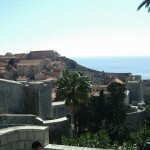 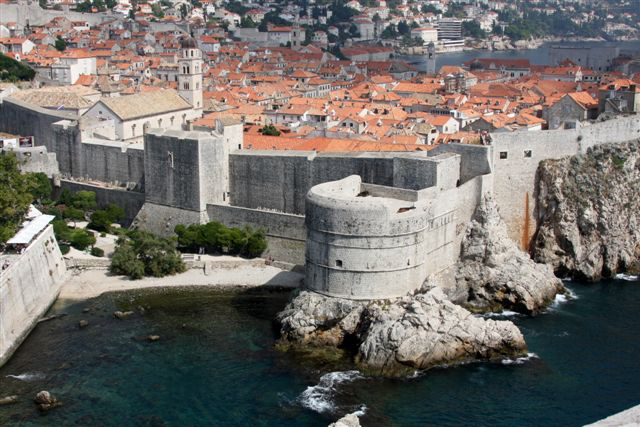 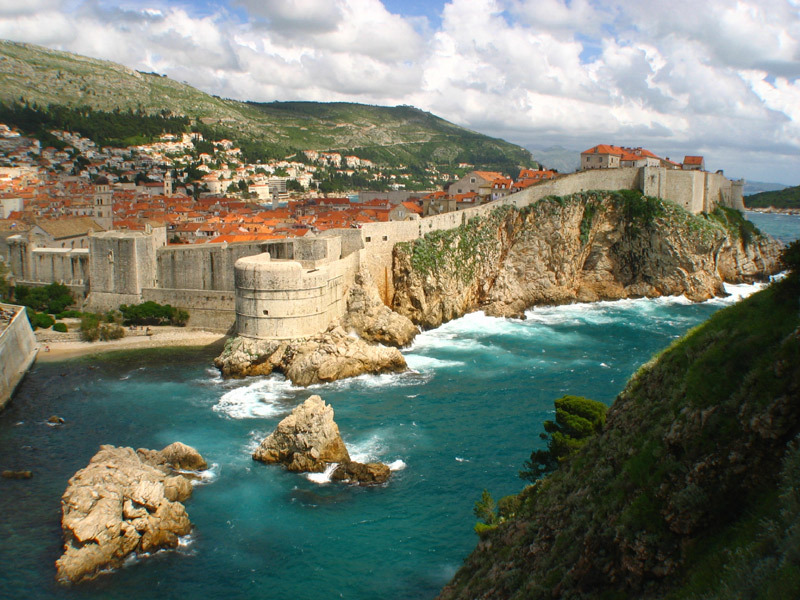 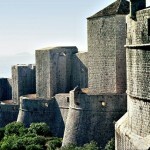 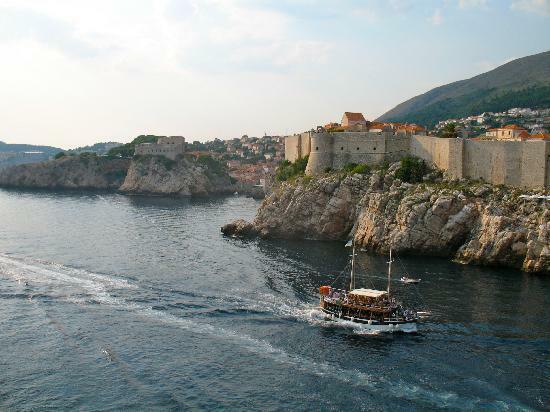 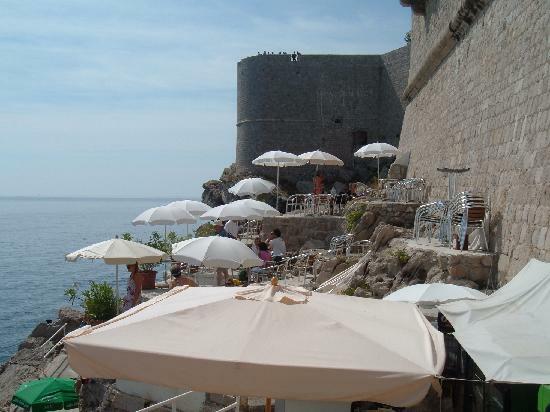 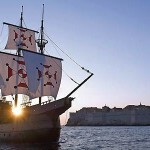 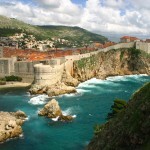 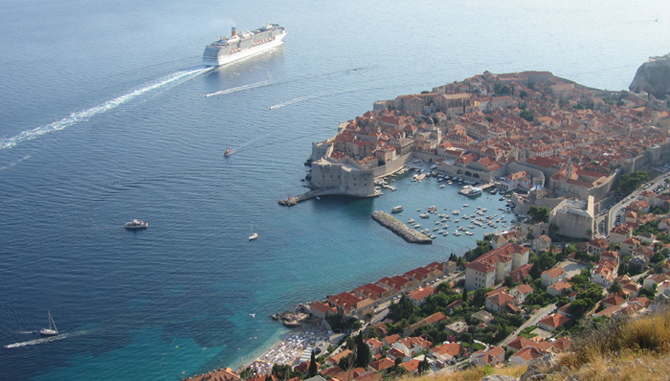 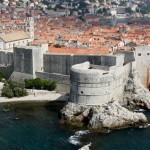 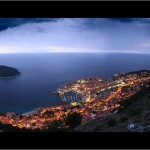 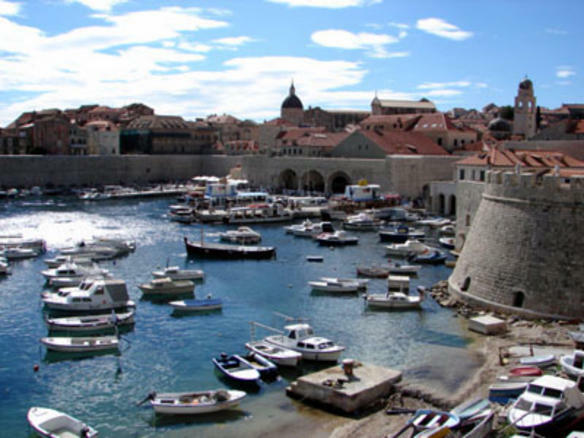 Dubrovnik offers something for everybody and, as such, is a perfect place for a vacation. 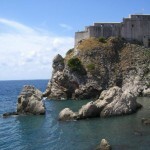 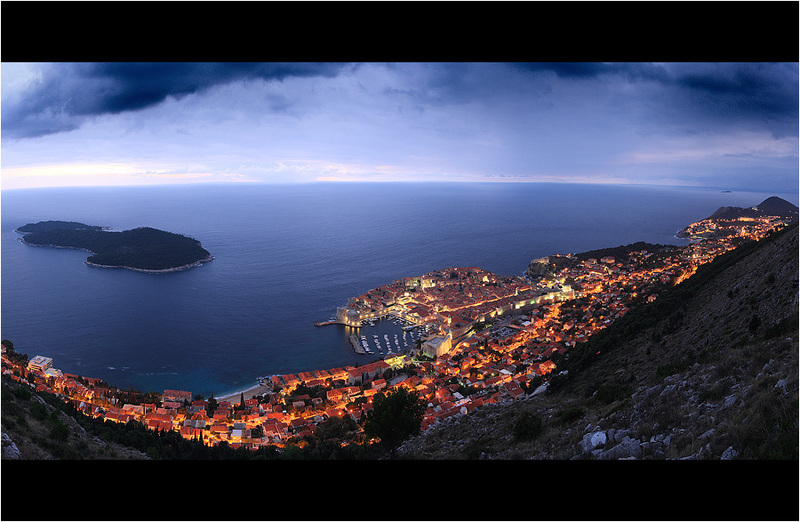 To quote Bernard Shaw:"Those who seek the paradise on earth should come to Dubrovnik".